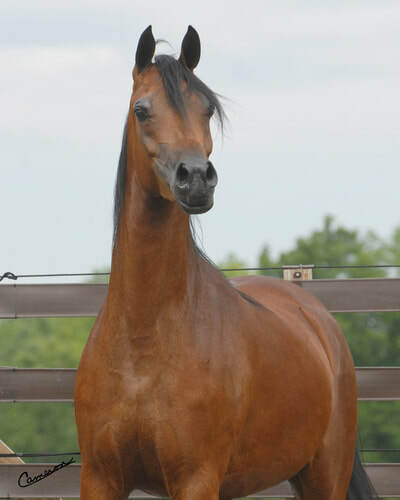 In the world of Victoria Cross Farm, the Arabian broodmare is queen. It all began with a Valentine’s Day gift from Nikole’s parents. 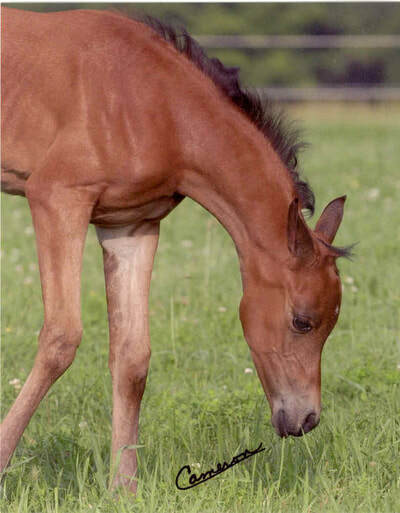 Their prized broodmare, the Garis daughter Victoria’s Caress, was nearing her last years of foaling. With huge, black eyes, a long, hooky neck, and a fiery trot, Caress became the heart of VCF’s breeding program. 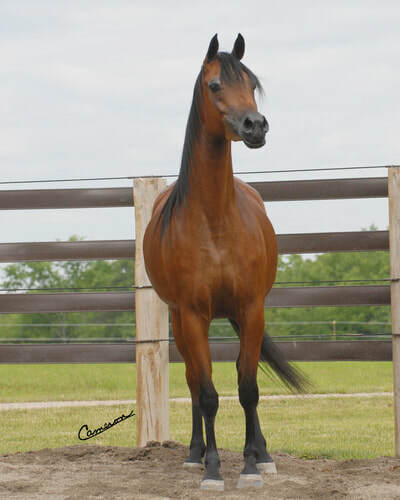 Caress was bred to Da Vinci FM, producing an exquisite bay filly named VC Couture that is now VCF’s foundation broodmare. 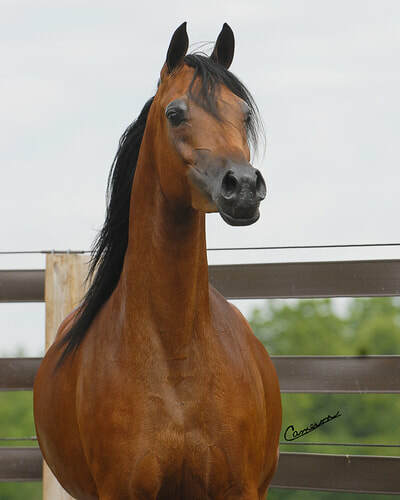 In 2012, while watching Caress’s granddaughter, Stiletto VC, win Reserve Champion and Top Ten Supreme Champion Yearling Filly at the Arabian Breeder’s World Cup, Paul and Nikole received news that Caress had peacefully passed away in her paddock at the age of 33. VC Couture carried the torch of her treasured dam, producing international champions that grace the world stage. She has now pass on the torch to her beautiful daughter, Coutures Caress VC.